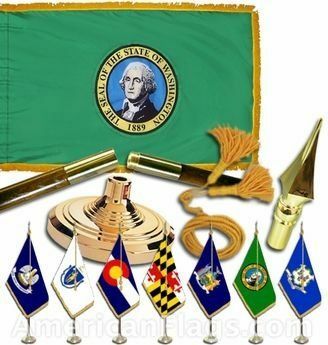 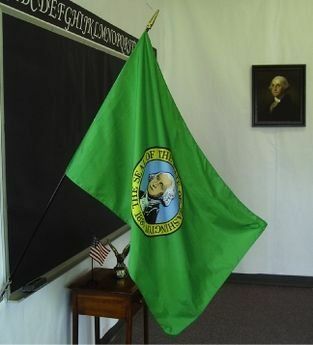 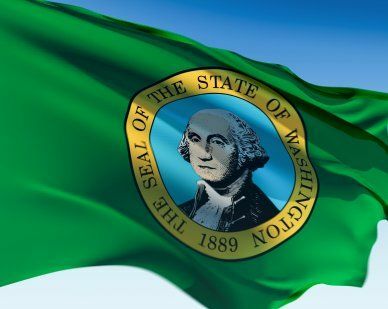 AmericanFlags.com is proud to carry Washington State Flags in a variety of materials, and styles, in sizes ranging from 4 IN X 6 IN to 12 FT X 18 FT. All of our Washington flags meet official specifications, are on sale right now and are ready for immediate shipping to your door. 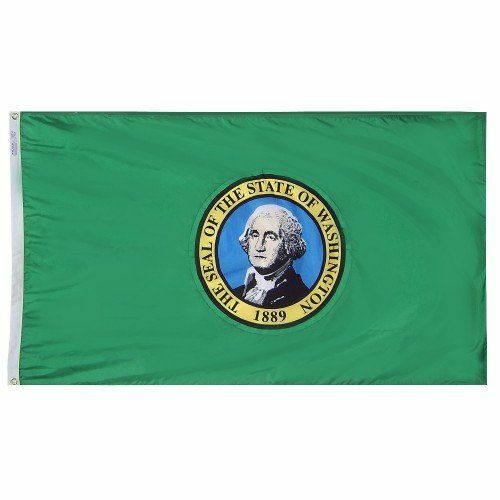 The nation's first President, George Washington, is featured on the state flag of Washington, which was adopted for official use in 1923. 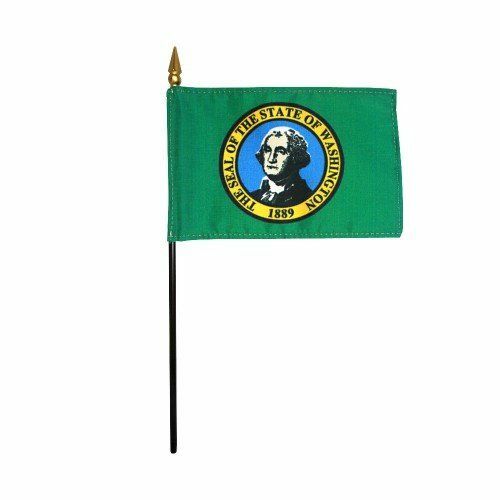 Designed in 1889 by Charles Talcott, it is the only state flag that boasts a green background and an image of a President.